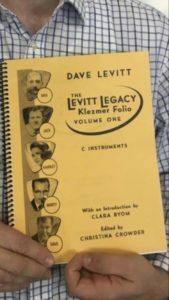 This evening will be a Book Release Celebration of the new Levitt Legacy Klezmer Folio! Books will be available at the show. 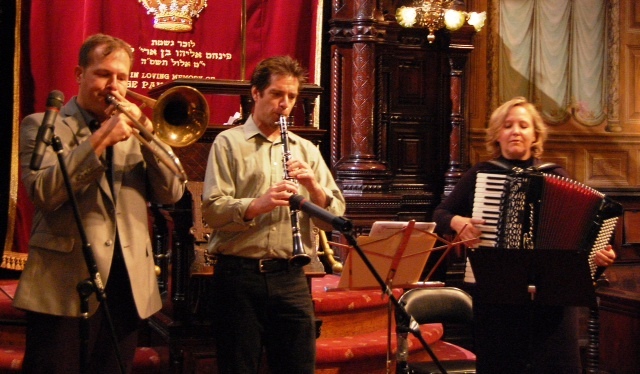 Dave Levitt is a fourth generation Klezmer musician and is known as a leading authority on this music as well as its history. Mr. Levitt has performed and lectured at the National Yiddish Book Center, Eldridge St. Museum and Synagogue, Center for Jewish History among many others. He wrote the text for the Levitt family exhibit which is on permanent display at the Yiddish Book Center in S. Amherst, Massachusetts. Christina started playing Jewish music in Budapest, Hungary, where she lived from 1993 to 2002. She is a founding member of Di Naye Kapelye—an ensemble dedicated to researching and performing traditional eastern European Jewish music. The group did original research in Hungary and Romania and in the 8 years Christina performed with the ensemble, Di Naye Kapelye toured extensively in Europe and performed at numerous festivals including the Jewish Music Festival in Krakow, Poland, the Festival d’Ete in Nantes, France and many others.